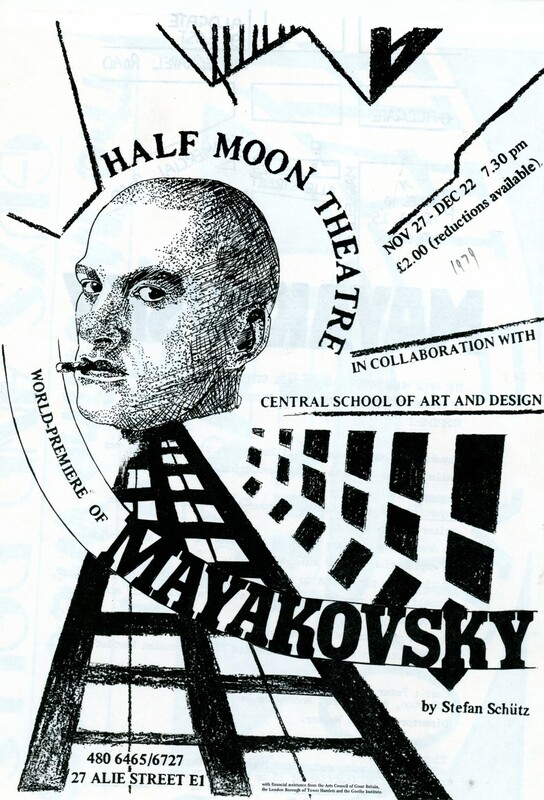 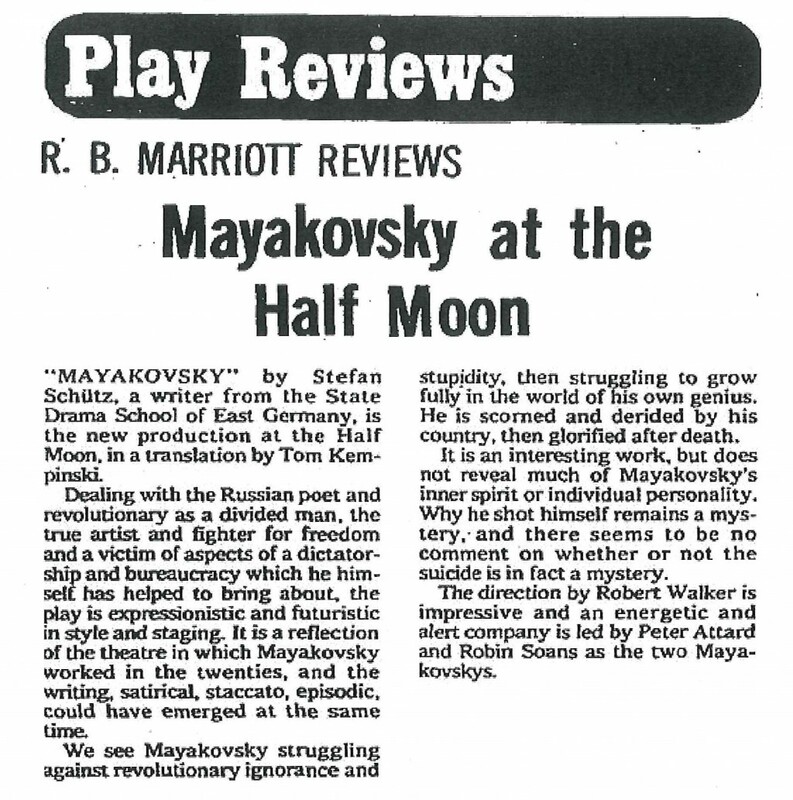 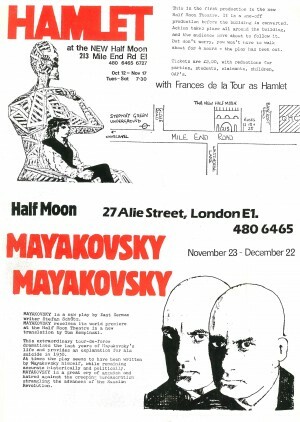 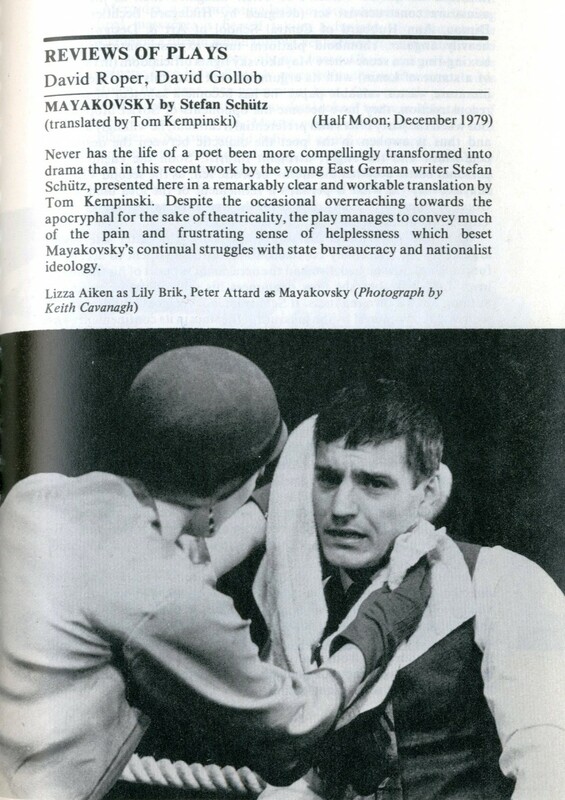 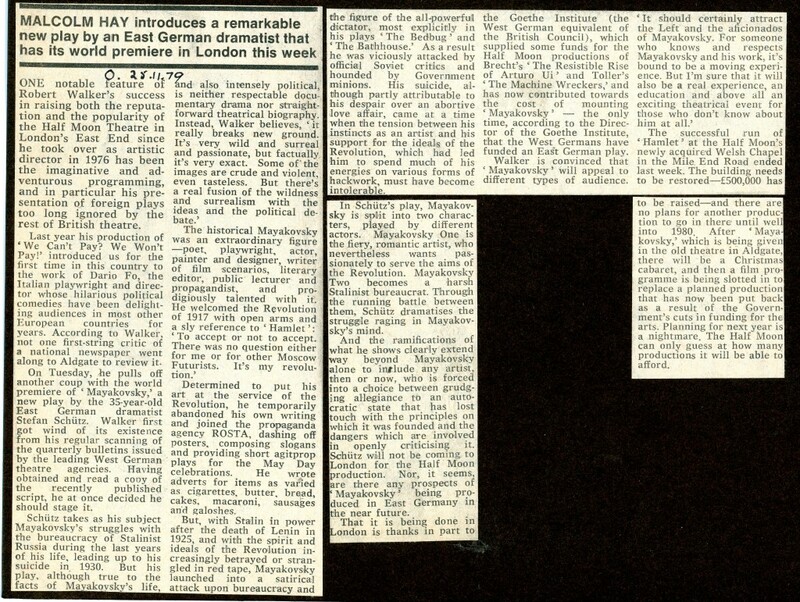 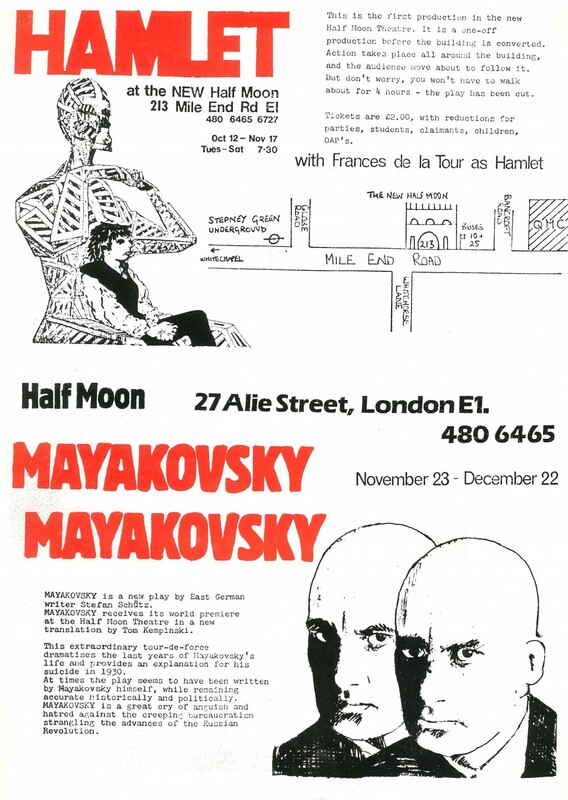 Mayakovsky was a new play by East German writer Stefan Schutz which received its world premiere at the Half Moon in a new translation by Tom Kempinkski. 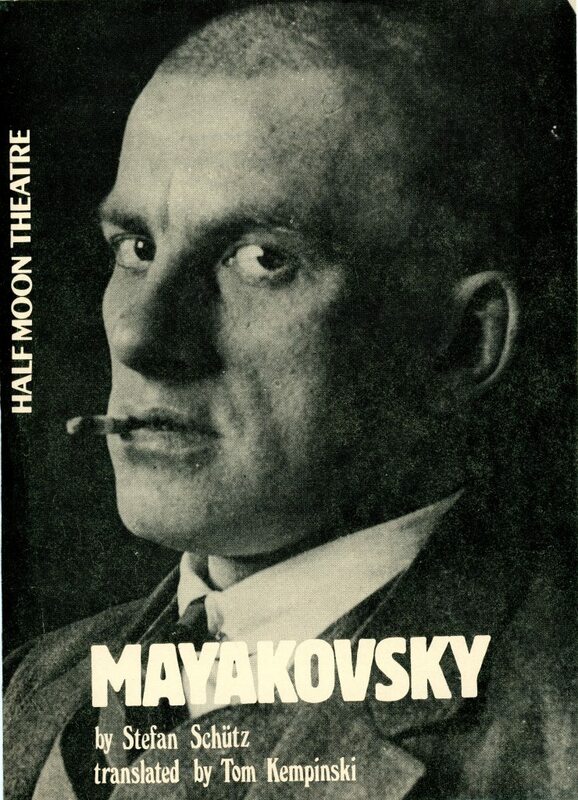 This extraordinary tour-de-force dramatised the last years of Mayakovsky’s life and provided an explanation for his suicide in 1930. 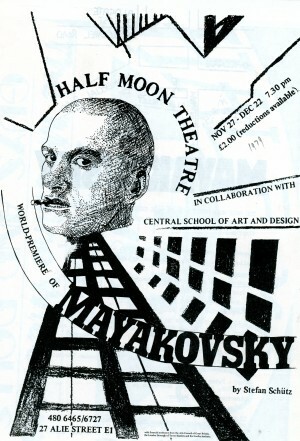 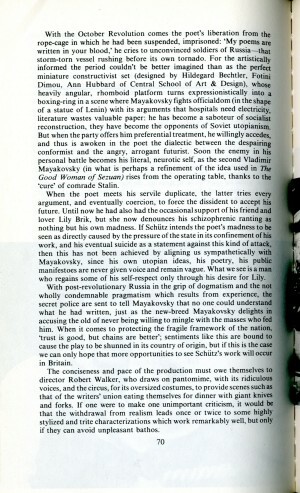 At times the play seemed to have been written by Mayakovsky himself, while remaining historically and politically accurate. 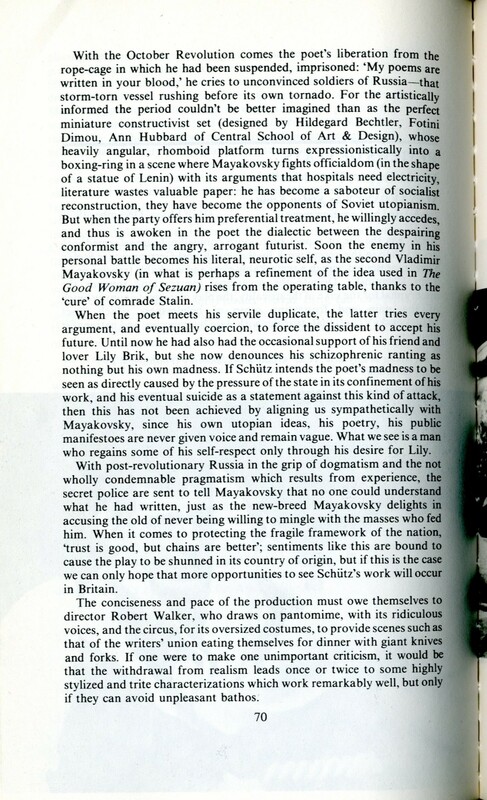 Mayakovksy was a great cry of anguish and hatred against the creeping bureaucratism strangling the advances of the Russian Revolution.